Ingram's magazine has selected Carol Shanklin, dean of the Graduate School and professor of dietetics in the food, nutrition, dietetics and health department, as one of its Icons of Education for 2017. Ingram's announced its selections in the February 2017 edition. The annual list recognizes top-tier educators in the region. "I am humbled and honored to be recognized as a 2017 Icon of Education," Shanklin said. "This award recognizes my contributions to graduate education, research, and leadership roles. I highly value the relationships I have formed with students I have mentored and colleagues with whom I have worked." The article notes Shanklin's career has included research on food safety, biosecurity and process improvement in food-service operations, alternative approaches to waste management and helping foodservice operations reduce food and packaging waste. Shanklin's collegiate education began with a bachelor's degree in home economics education, then graduate degrees in home economics and food systems administration. She came to K-State to teach graduate level courses in food service and hospitality management. 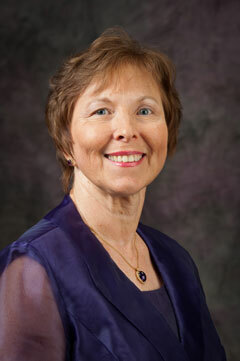 With her experience and devotion to graduate students, she was appointed dean of the Graduate School at K-State in 2009. Her role as dean is nuanced in many ways – Shanklin is responsible for graduate student recruitment and retention, promotion of graduate education and representation of the Graduate School.